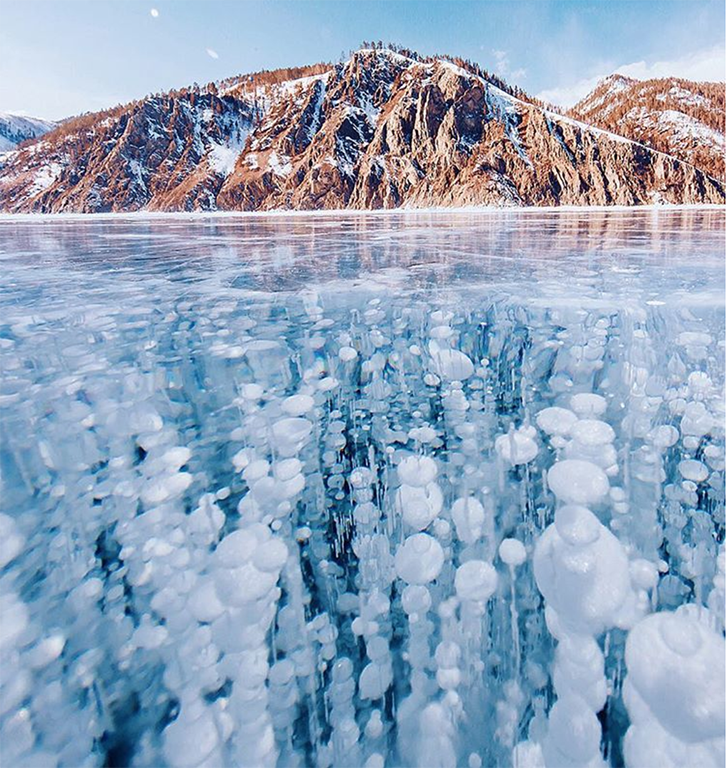 From beautiful ice cracks to layers of suspended frozen bubbles, Makeeva captured the essence of Lake Baikal’s one-of-a-kind environment. 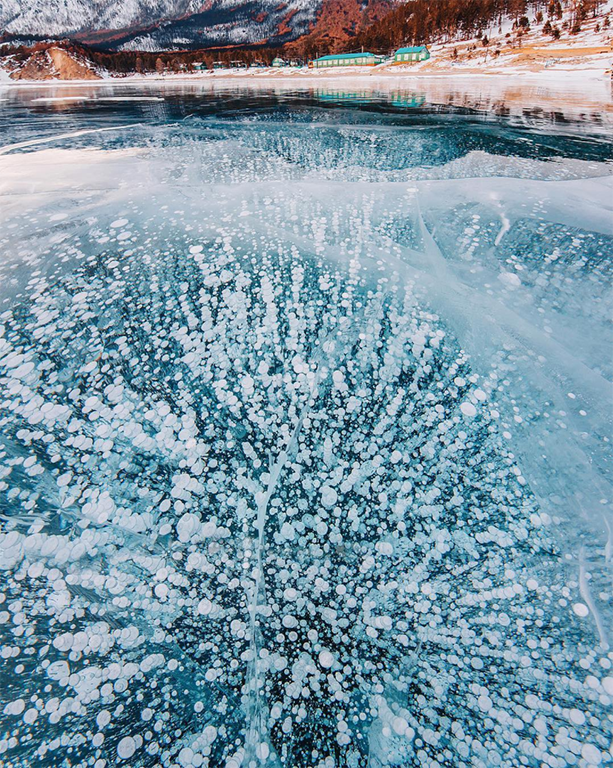 Underneath the ice-shaped surface is a world of unique planktonic animals and freshwater species—which play an integral role in keeping the water crystal clear. And those mesmerizing bubbles? They’re created by methane gas released from abundant algae. 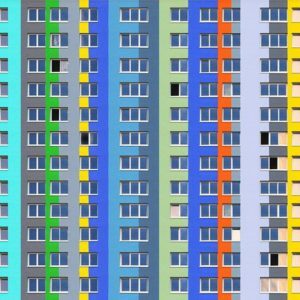 Not only does this allow for gorgeous patterns—it’s also a crucial part of the habitat that sustains the 600 plant and 1,200 animal species living in and around the lake. 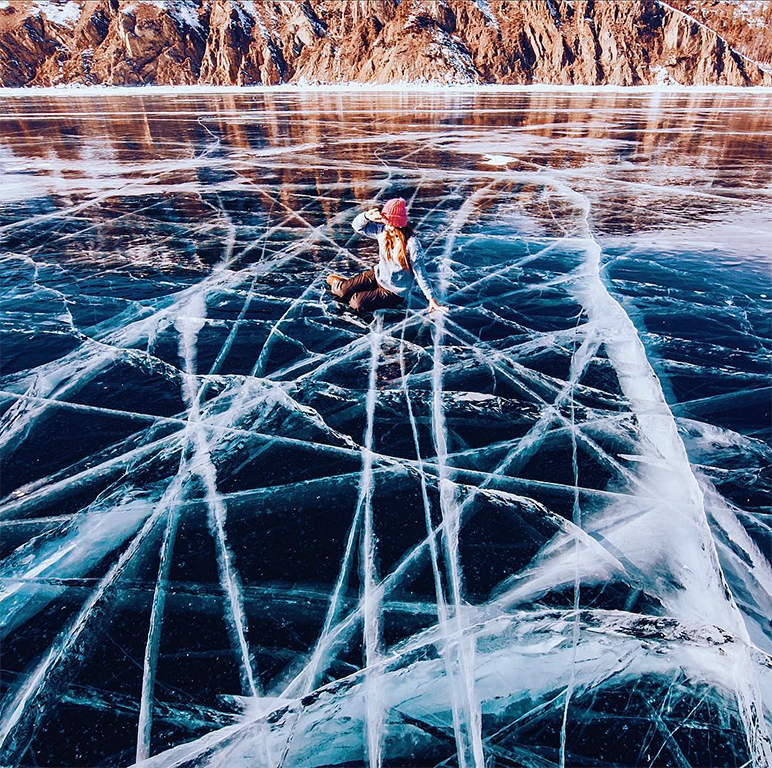 With a depth of 5,354 feet (1,632 meters) and clarity down to 131 feet (40 meters), we can only get a small glance into the diverse world of Lake Baikal. 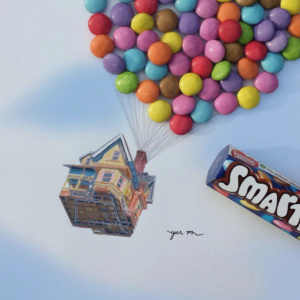 Yet, Makeeva shows that what’s above the surface is just as fascinating. During her trip, she discovered how parts of the lake can look completely different from one another. 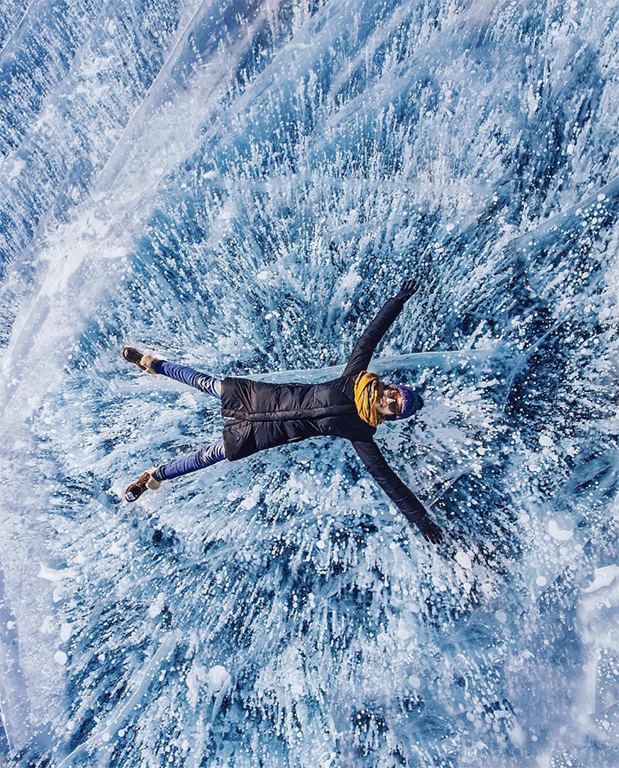 Due to travelers skating or sledding across the surface, cracking ice, bubbles and varying layers of ice, Makeeva captured what seems like several landscapes in one trip. And with ice that thickens to 5 to 6.5 feet, it’s easy to travel across the lake and take in every angle. 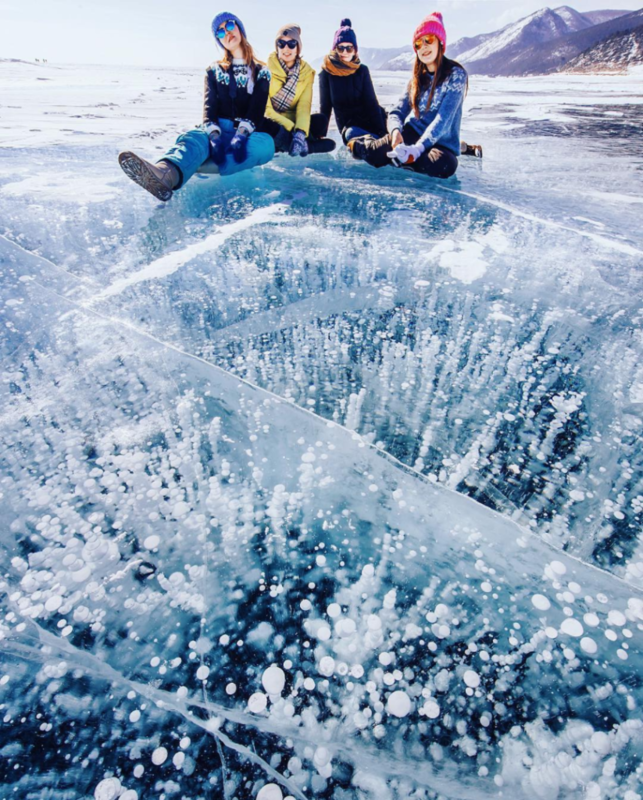 It’s no surprise the ancient beauty of Lake Baikal in winter brings visitors from around the world—some who even choose to camp on its icy shores. 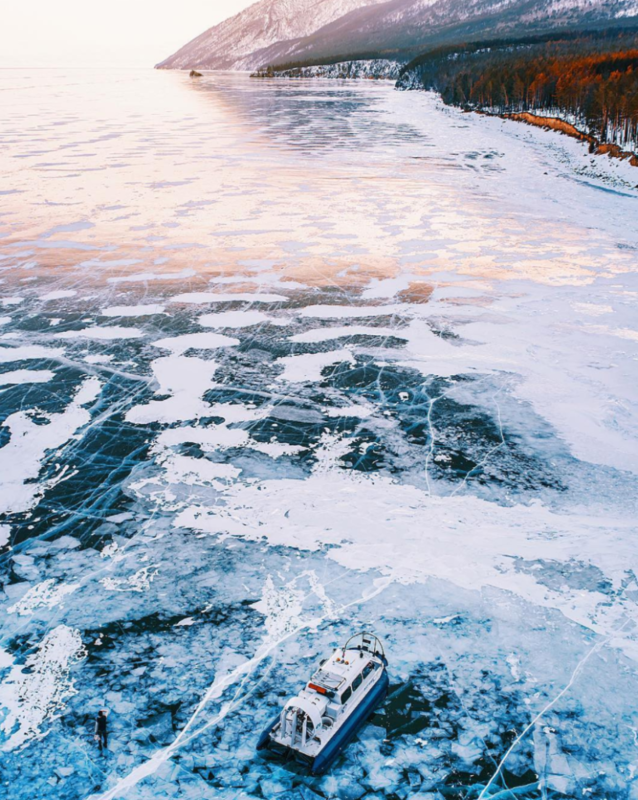 While the lake is usually frozen from January to May, its incredible size keeps the average winter temperature around -6°F or (-21°C), compared to the rest of Siberia that averages -68°F or (-90°C). 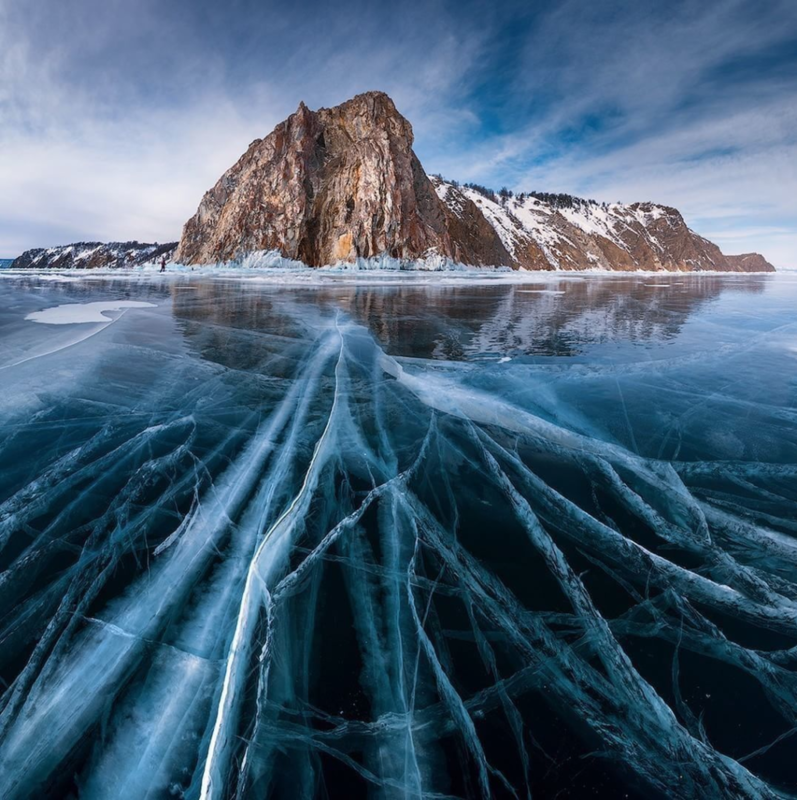 Looking at the photos Makeeva took, it seems worth a few days in the cold to wonder at such stunning vistas.